Ugh, bullying pisses me off. So far, so good with my 7 year old, but I’m hair trigger in waiting for it. 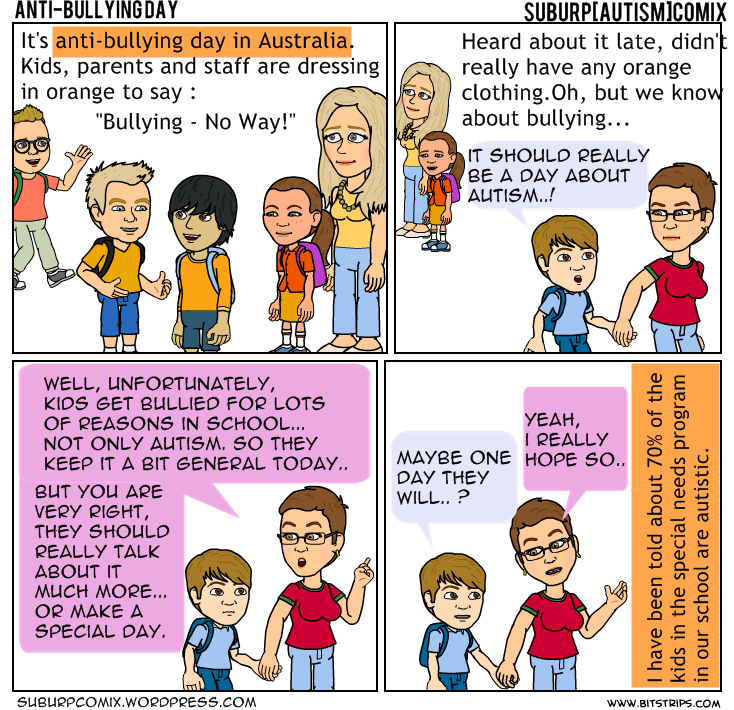 And that line “autism might lead to bullying…” – um, no – A$$holi-ness leads to bullying. I think that’s going to be my go to answer if I hear any question about what leads to bullying 😉 Feel free to borrow. Hugs! I feel that especially at a young age, some teasing and producing reactions are almost understandable by the peers if they have no knowledge of how this feels for an autistic kid.